With 3.5 mm circular knitting needles cast on 80 stitches. Work in a knit 1 purl 1 stitch until back at the beginning of row and join together on the circular needles. Continue with knit 1 purl 1( ribbing stitch) until work measures 1.5 to 2 inches. Change to a straight knit stitch and continue until work measures 6.5 to 7.5 inches total(including the ribbing). Continue knitting next round marking each 15 stitches with a stitch marker. 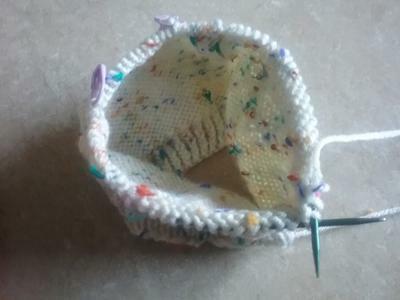 Total(5 markers) at 15,30,45,60,75 stitches. 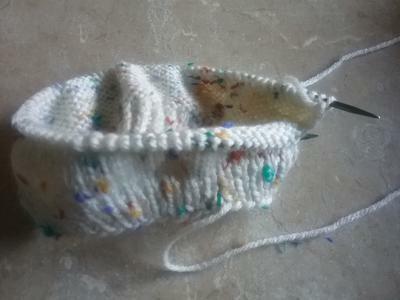 Continue knitting next round and when reaching a marker knit two together. 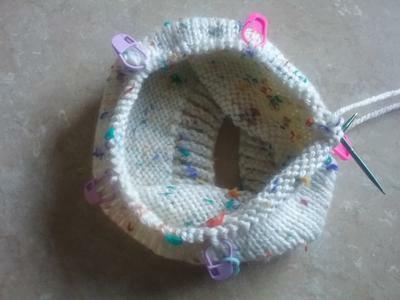 This will decrease the total stitch count by 5 stitches per round. Switch to 4 double pointed needles when the number of stitches can't be easily worked with the circular needle and continue to decrease the number of stitches until there are none left on needles. Hat can be finished with a pompom, flower, or curly ribbon can be added to the top of the hat if desired.